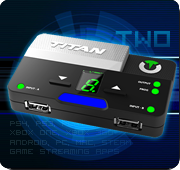 The new Titan One firmware (version 2.16) implements a full HID parser for game controllers, allowing the Titan One to interpret the reports received from any HID compatible controller (joystick/gamepad/fightstick). This new feature greatly increases the range of controllers supported by the Titan One, including a variety of fightsticks not before supported. 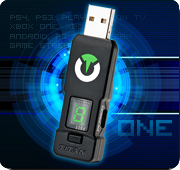 Titan One Firmware 2.07 release. The new version of Titan One firmware (2.07) adds support for the upcoming Visual Scripting (GPC Blocks) AND fix XIM4 freezing due LED status update over PS3 protocol. Version 2.06 adds support for XIM4 on Playstation 4. Gtuner Pro (3.06) and Titan One firmware (2.03) updates released! STAY TUNED FOR THE UPCOMING MAXAIM DI PLUGIN! This Gtuner Pro update includes: Titan One Backlight: New option; Stability improvements; GPC compiler fixes.Titan One firmware update: Backlight: Strict Controller Player LEDs; Operation stability.